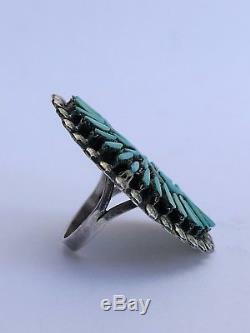 Early Old Zuni 1 5/8 Sterling Silver Needlepoint Sleeping Beauty Turquoise Ring. 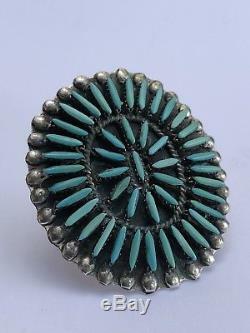 We have offered here a stunning vintage Zuni Sterling Needlepoint Turquoise Ring. 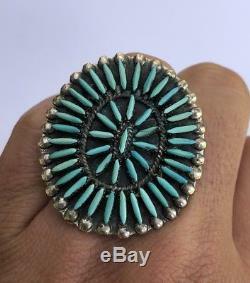 This ring is quite large rows of "Needlepoint" Turquoise pieces. 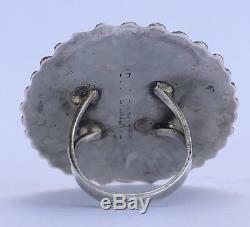 The table of the Ring is 1 5/8" by Almost 1 1/2" in size Wide , and the Ring is currently a size 8. 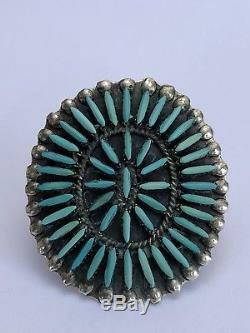 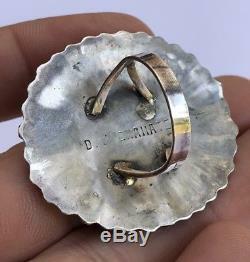 It makes a gorgeous Zuni Needlepoint Ring.